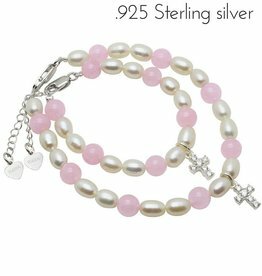 KAYA has made a collection of silver bracelets for you and your daughter to wear on your special occasion. 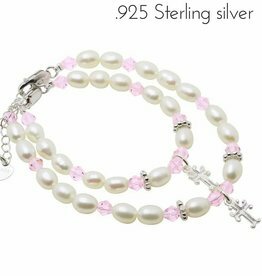 These bracelets are suitable for occasions like birth (mother and baby bracelets), baptism, communion, or bracelets for the bride and bridesmaid, as well as all other special celebrations. 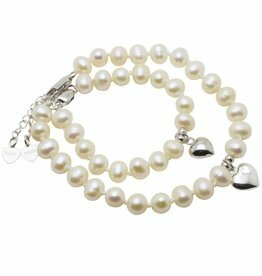 Because all of our jewellery is made of the finest freshwater pearls, sterling silver, gems, and crystals, you and your girl are going to shine together! 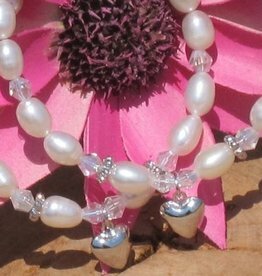 Mum & Me Bracelet 'Precious' - very cute! 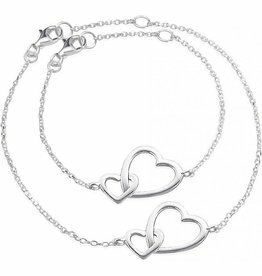 Mother & Daughter Silver Bracelet' with joint heart charm - very cute! 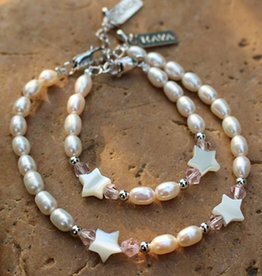 “Keeping memories alive” this is what Tanja Rakhou, KAYA’s founder, was thinking of when she designed this birth jewellery collection for mothers and daughters. 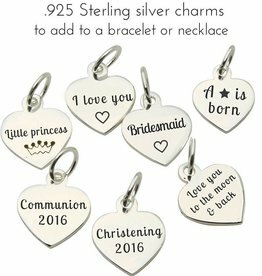 “The reaction was fantastic, all my friends ordered a set for themselves and their mini-me” says Tanja. 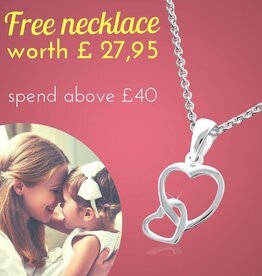 Just imagine how sweet and symbolic: mother and daughter wearing the same piece of jewellery. And it looks great in those (yearly) family photos! This will really keep memories alive and after a few years you can reminisce about how small your daughter was as a baby. 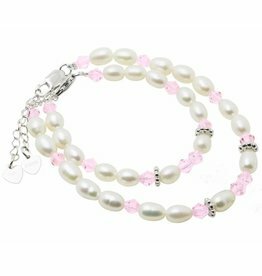 The mother and daughter bracelet sets are part of our best selling range, fabulous for mum and the littlest member of the family! 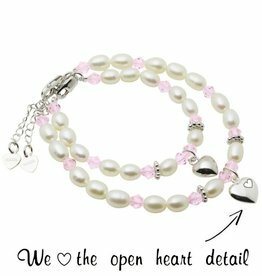 These make a lovely and very touching gift: Beautiful personalised mother and daughter bracelets made from beatiful quality freshwater pearls freshwater pearls, sterling silver elements and a personalised heart charm. 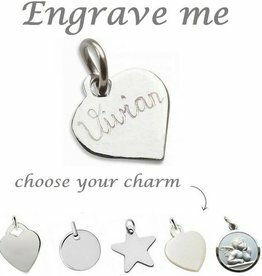 Personalise your bracelets by choosing mother and daughter pendants for that extra personal touch. Availalbe in Mother-Daughter and Mother-Baby sizes. 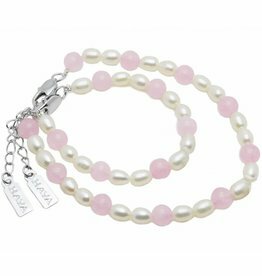 These oh so pretty mother and daughter matching bracelet set is the perfect gift for any mother and daughter. One for you and one for me. For my heart belongs to you dear, and you hold the key. When you wear yours, think of me. 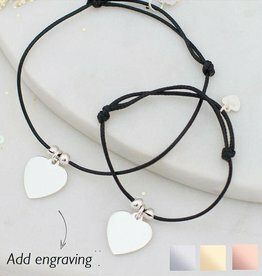 And when i wear mine I'll think of you too. Keep it close as a reminder how much i love you. 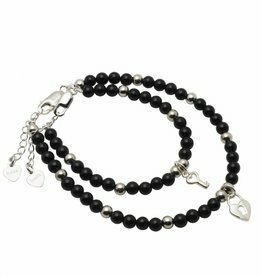 The bestselling pieces of the silver mother and daughter collection are the "key to my heart” bracelets. These captivating charms are inspired by the 19th century keys that provided access to secret gardens. 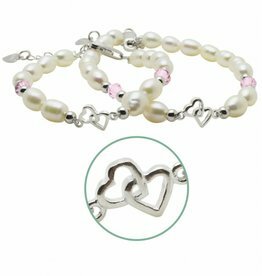 At the baby bracelet, a key is attached, this key opens the lock attached to the mother’s bracelet! 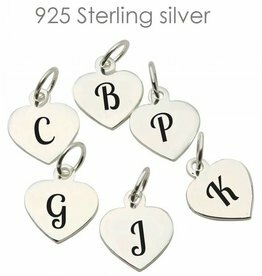 So, your baby will forever hold the key to your heart, can you imagine it?